Your local Chrysler Dodge Jeep Ram dealer and source for quality new and pre-owned vehicles, auto service, parts, financing, trade-ins and more! 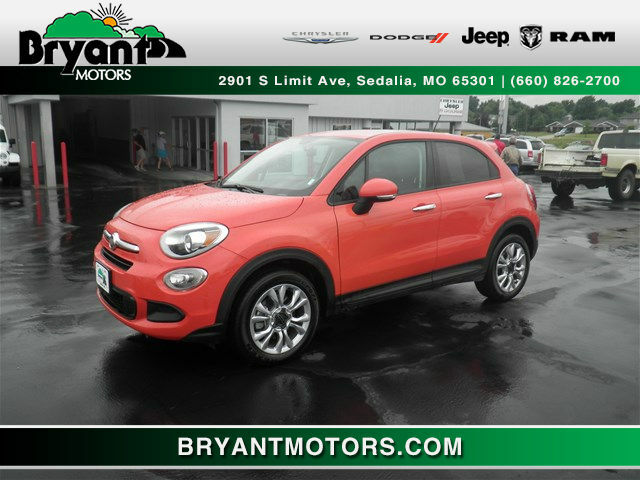 Call 800-886-2701 or stop by our Sedalia car dealership to let us know how we can help you today! 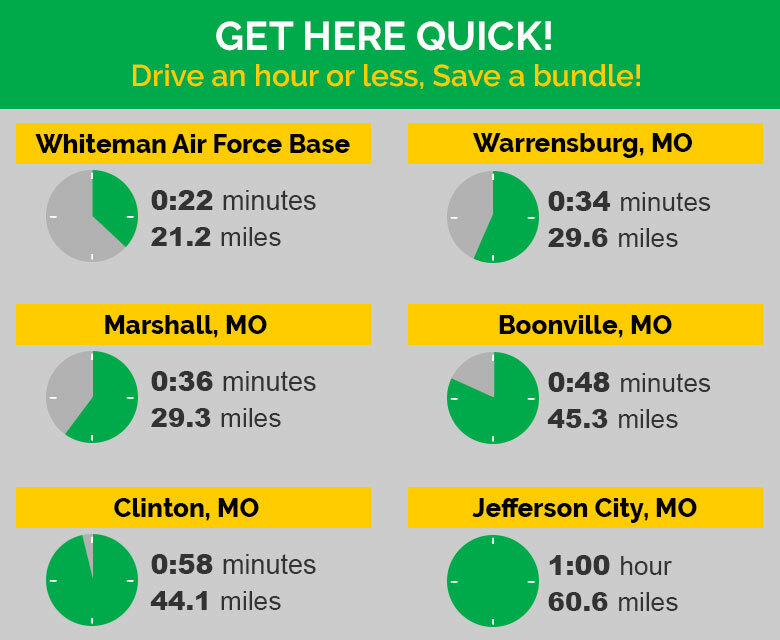 We are conveniently located at 2901 South Limit Ave. in Sedalia, Missouri, about a ½ mile south of the Missouri State Fairgrounds across from Sonic Drive-In just off U.S. Highway 65. If you pass a Domino's Pizza and Best Western motel, you've gone too far! Bryant Motors of Sedalia first opened its doors in 1936 with the mission of providing a pleasant and transparent car shopping experience to our neighbors and customers. Though much has changed since then, including the vehicles on our car lot and the technology we use to serve you better, that same sense of purpose still holds true more than 80 years later. Bryant Motors has been a staple in the Sedalia community for eight decades, reimagining the car buying experience year after year by providing total customer satisfaction, upfront pricing, hassle-free service, unbeatable deals and a team of knowledgeable experts to help make car buying affordable. We are thrilled to continue to serving the families of Sedalia, Pettis County and throughout Central Missouri for another 80 years to come. If you're in the market for a new Chrysler, Dodge, Jeep or Ram, or a quality used vehicle, we invite you to consider our auto dealership, located just south of downtown Sedalia on South Limit Ave. off US 65. Browse our huge selection of new and pre-owned cars, trucks and SUVs for sale. Ride with the people you trust! 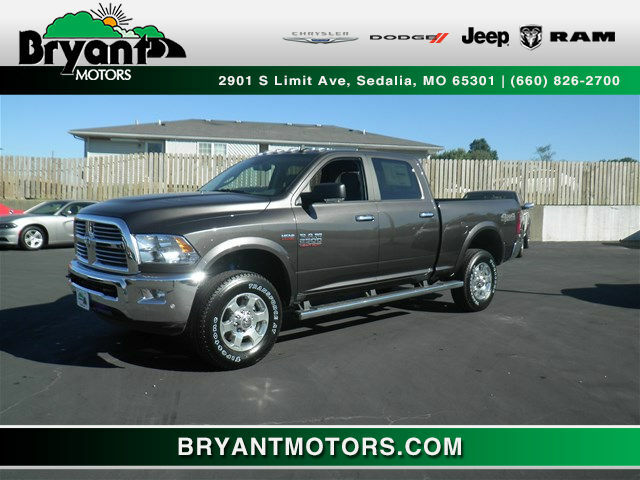 "Bryant Motors of Sedalia, MO is an AWESOME dealership!! We have made several purchases, both new and used and have always enjoyed personal sales, service and maintenance. The sales department is top notch, as well as the reception, loan department and the service department. I would never even think of going to another dealership in Sedalia, MO - these guys and gals are all the BEST!!" "Best car buying experience ever! They worked so hard to get me the SUV that I wanted. I pointed out what ones I wanted to test drive and they pulled them up one at a time until I found the one that I loved. It only took two test drives. The staff was very pleasant to work with from sales to service, thank you for everything and I will see you when it's time to trade again. My husband cannot say enough about how wonderful everything was." Our ASE-certified mechanics provide honest, skilled service on ALL makes and models. We're also your one-stop-shop for finding high quality OEM Mopar auto parts at the lowest prices for your Chrysler, Dodge, Jeep or Ram. Basically, whatever your auto needs are, we've got your back!